We’re not just walking. We’re Heartwalking. Our participation in Heart Walk promotes fun ways to be physically active and make healthier choices every day. Imagine the impact if we reduce death and disability from cardiovascular diseases and stroke by 20 percent by 2020. Please help us reach this lifesaving goal by joining our MPS team today. Together, we can make healthier, longer lives possible for everyone. Floridians are encouraged to prepare for all types of emergencies, including hurricanes. Building yourself an individual or family emergency plan for a disaster is the first step in this preparation. During a crisis situation emergency, federal, state, local government and other agencies may not be able to meet your immediate needs. You should be prepared to take care of yourself and your loved ones for a minimum of 72 hours. Those individuals with a special need are encouraged to plan well in advance and identify an emergency support network and to build a disaster supply kit. It’s Your Plan, Just Make It! What you and your family will do. What to have on hand. Where to go, if necessary. Don’t forget to include your pets in your plan. https://www.mobilephysicianservices.com/wp/wp-content/uploads/2018/08/MPS-Logo_With-Tag_RGB-01-300x104.png 0 0 B. Conway https://www.mobilephysicianservices.com/wp/wp-content/uploads/2018/08/MPS-Logo_With-Tag_RGB-01-300x104.png B. Conway2018-08-17 12:01:112018-08-17 12:01:11Disaster Planning - Are You Prepared? 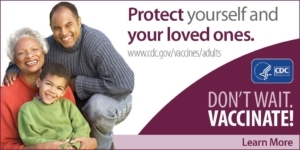 Every year, thousands of American adults get sick from diseases that vaccines can prevent. People who have chronic obstructive pulmonary disease (COPD) are more likely to have serious problems from certain diseases. If you have COPD, vaccines are one of the safest ways to protect your health from diseases that could be serious for you. Make sure you are up to date on the vaccines you need. Did you know people with chronic obstructive pulmonary disease are at high risk of developing serious complications from flu and pneumonia? Getting vaccinated is an important step in staying healthy. If you have COPD, you need to take extra steps to protect your health. Make sure you are vaccinated against diseases that could be serious for you. Getting recommended vaccines to protect your health is part of successful COPD management. Talk to your doctor to make sure you are up to date on your vaccinations. Respiratory infections like flu can be very serious for people with chronic obstructive pulmonary disease. For the best protection available, get your flu vaccine this and every flu season. If you have COPD, influenza can make your symptoms worse. Get vaccinated to protect your health. Flu vaccination also has been associated with reduced hospitalizations and deaths among people with chronic lung disease. Chronic obstructive pulmonary disease patients who are vaccinated against pneumococcal disease are less likely to experience an episode of community-acquired pneumonia or an acute exacerbation, but only 50% of adults ages 18 through 64 with COPD report having gotten pneumococcal vaccination (NHIS, 2015). 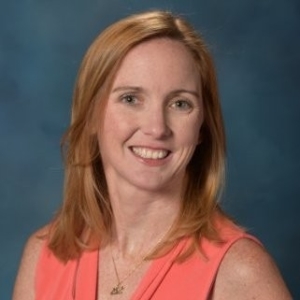 New Port Richey, FL – Mobile Physician Services is pleased to announce Katie Riston, Business Development Manager, has been elected to the Florida Assisted Living Association’s (FALA) leadership team as an Ad Hoc member. FALA’s mission is to promote excellence in assisted living communities by providing education, standards, advocacy and consumer awareness. FALA is the oldest and largest state association representing nearly 500 assisted living facilities and adult family care homes, and 200 associate members who provide products and services to assisted living. Mobile Physician Services, is a medical house call practice that is comprised of doctors and nurse practitioners who make house calls to homebound patients. The practice was established in 2006 to fill an unmet need for medical care among patients who were unable to leave their homes or who had difficulty getting to a physician’s office. Often these patients had complex chronic conditions that required ongoing medical care. Without proper care, their condition would worsen, and the patients eventually would require emergency care or admission to a hospital – at a high cost to both patients and payers.